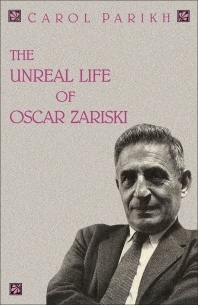 The Unreal Life of Oscar Zariski records the life of Oscar Zariski that is based upon Carol Parikh's interviews with his family, colleagues, students, and his own memories from tape-recorded interviews conducted before his death in 1986. This book describes Oscar Zariski's work in mathematics that perpetually altered the foundations of algebraic geometry. The powerful tools he forged from the ideas of algebra allowed him to penetrate classical problems with a clarity and depth that brought a rigor to the way algebraic geometers carry out proofs. The strength of his work was matched by his forcefulness as a teacher, and the students he trained at Johns Hopkins and later at Harvard have made essential contributions to many areas of mathematics. This publication is beneficial to students and researchers interested in Oscar Zariski’s life and work in mathematics. Chapter 5 "Oscar, you are not one of us." Chapter 8 "The Algebra Which Sheds Light on Geometry"